As Soundbeam is now in its 30th year (woohoo! ), we would love to see you and your Soundbeam users talk about your experiences using Soundbeam. 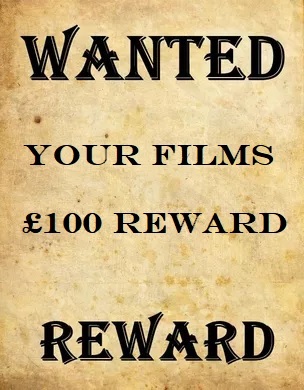 Just film it on your phone or tablet, send it to us by email and as a thank you we will give you a £100 voucher to use against any purchase of Soundbeam, be it an extra sensor, another switch or a whole kit! Please complete the form below to notify us of this and claim your £100 voucher. We will never use or sale your details. Terms & conditions: Only one voucher per organisation, centre or school. Voucher expires one year from issue. Use of the fim: I grant The Soundbeam Project Ltd full rights to use the film and/or images appropriately and sensitively and any reproductions or adaptations of the film and/or images for publicity. This might include (but is not limited to), the right to use them in their printed and online publicity, website, social media and press release. Only one voucher per organisation, centre or school. Voucher expires one year from issue. I grant The Soundbeam Project Ltd full rights to use the film and/or images appropriately and sensitively and any reproductions or adaptations of the film and/or images for publicity. This might include (but is not limited to), the right to use them in their printed and online publicity, website, social media and press release.